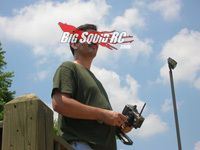 ASK Cubby, 04.24.2014, Version- Here Comes More Questions « Big Squid RC – RC Car and Truck News, Reviews, Videos, and More! I have to say without a doubt what you said about FB is the best thing I have ever read in the R/C world. Amazed at what level people need to partake in voyeurism of other’s lives. Never been on it, never will. I will cheer loudly the day it runs out of use with society, I do not really care for what reason. Cubby- Yo hey James, thanks for the email and for the props, be sure and hit Brian up for a free sticker pack. Yes indeed, I am not a fan of FB at all, to me it has become one huge sham, for both users and advertisers. But… we have a whole lot of readers who are big fans of FB, so we opened a BigSquidRC Group over there. “Groups” are what FB introduced to kill off the old school forums and they have taken off quite well. As far as our Group goes, thus far we’ve got some cool people posting some good material, lets hope it stays that way. And… it has become a sort of underground hotbed for industry types to check out whats going on in the basher scene. I noticed in the upgrade series the bumpers on your Vattera Halix are all mangled and broken. Hey! mine are pretty much destroyed after 2 runs. I completely lost my rear bumper in some tall grass…. Normally this would be an easy fix, just pick some up from my LHS, but they are backordered! I have seen the T-Bone Racing bumper. Its priced fair. In my opinion it looks really ugly, but it might be the best option. I dont feel like replacing the stock bumpers every week and dont want to ruin the look of the truck with the T-Bone. Is there any other options? Is there some defect in the Halix bumper? I have thought of fabricating my own from metal but it will take a long time. Love your upgrade series so far and the site! Keep it going! Cubby- Heyyyy now Greg thanks for the kind words. While the rear bumper on our test Halix is alive and well, the front bumper broke early on when our highly overpaid “Pro” driver guy tagged my foot at 51 mph on 3S during our initial review. It didn’t break all the way (the bumper, or my foot), and it has not broken any more since, so we have not attempted to replace it. Bashers are huge fans of the TBR bumpers. They are strong, they take a crazy beating, they are cheap, but I agree with you, they aren’t exactly the best looking plastic products I’ve ever seen. Kinda makes me wonder how many aftermarket bumpers Pro-Line would sell if they ever put out uber versions. As far a “fix” for the Halix bumpers, while we haven’t personally tried it, once you get some stock replacements give them a good boil, this will soften them. Our front bumper brace looks like it broke because it was ether too hard, or it had air inside the plastic, any which way, a good boiling just might be what they need to take serious abuse. That’s it for this week ya bunch of lunatics, shoot me your emails at Cubby at BigSquidRC dot com. While it is highly unlikely I’ll answer (or even read) your questions, it might happen, and if your letter makes the big time you’ll win stickers or maybe even a t-shirt.